Of all the photos I have taken of sadhus during my time in Varanasi, this has to be one of my favourites. These two ‘brothers’ just look so happy in each other’s company and are full of the exuberance of young life. I hope that their handsome, clean-kept appearance and the beautiful setting of an akhara temple will help to dispel some of the negative images that I’m discovering some Indians have of holy men. 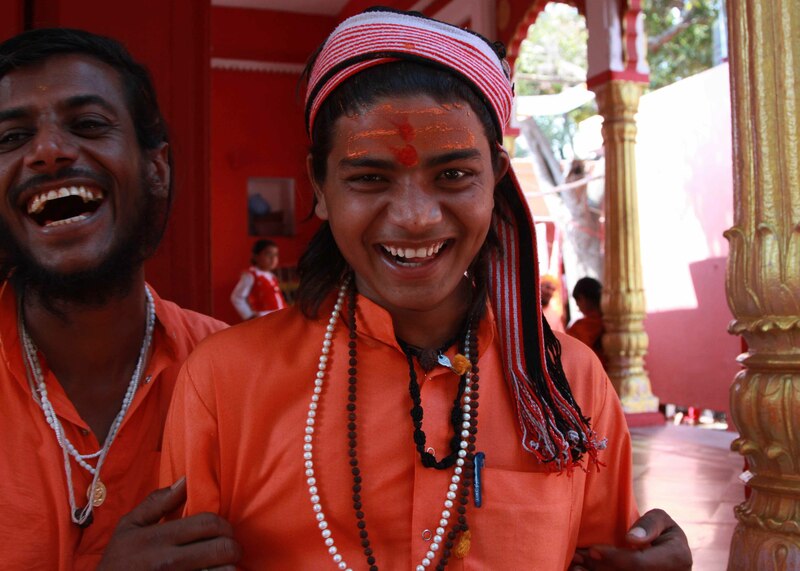 I don’t confess to know much about sadhus’ reputation, but I do know that every time I met these two, or any of their ‘guru brothers’, they were all nothing but charming, entertaining and hospitable.